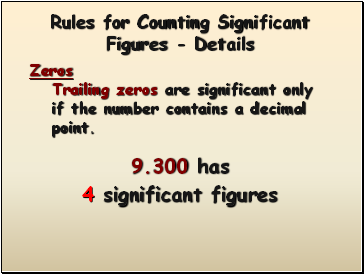 A digit that must be estimated is called uncertain. 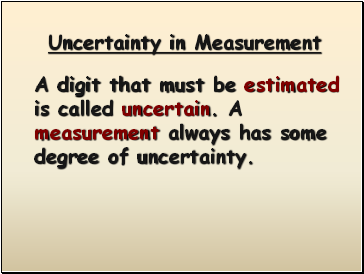 A measurement always has some degree of uncertainty. 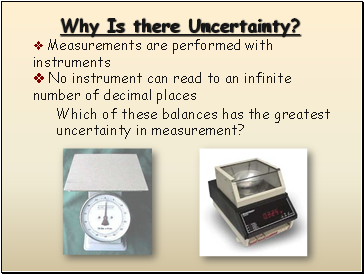 Which of these balances has the greatest uncertainty in measurement? 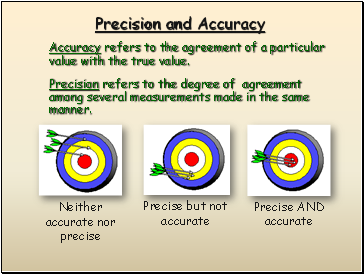 Accuracy refers to the agreement of a particular value with the true value. 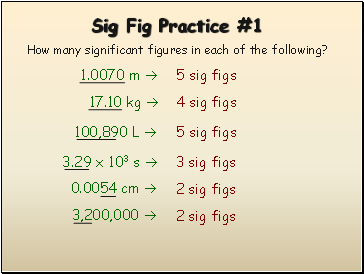 Precision refers to the degree of agreement among several measurements made in the same manner. 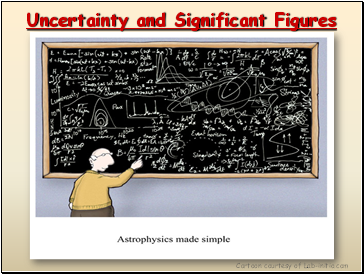 Random Error (Indeterminate Error) - measurement has an equal probability of being high or low. 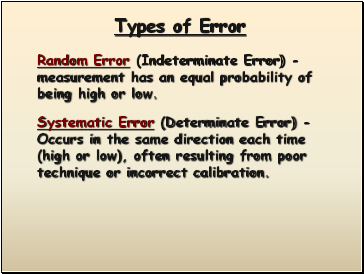 Systematic Error (Determinate Error) - Occurs in the same direction each time (high or low), often resulting from poor technique or incorrect calibration. 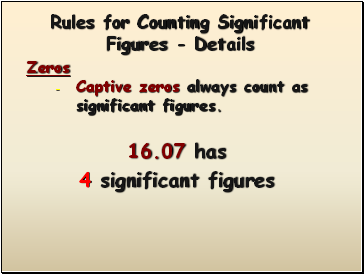 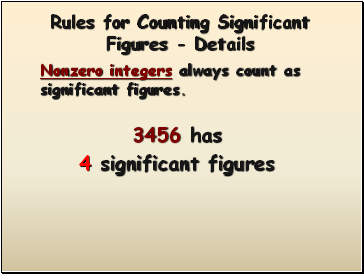 Nonzero integers always count as significant figures. 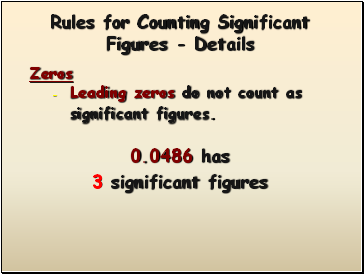 Trailing zeros are significant only if the number contains a decimal point. 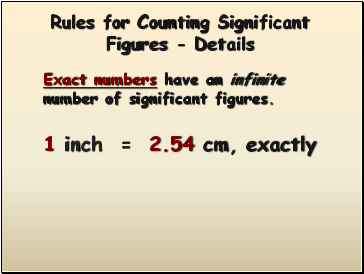 Exact numbers have an infinite number of significant figures.